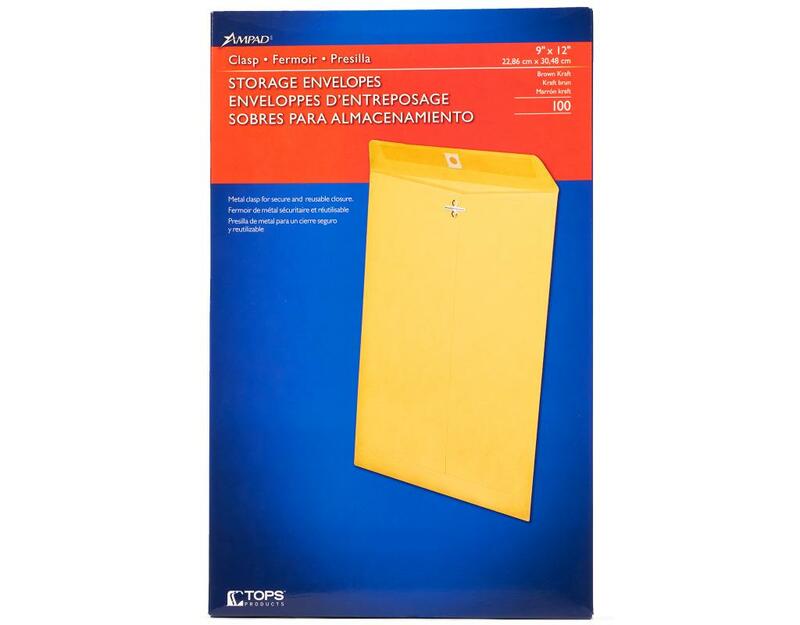 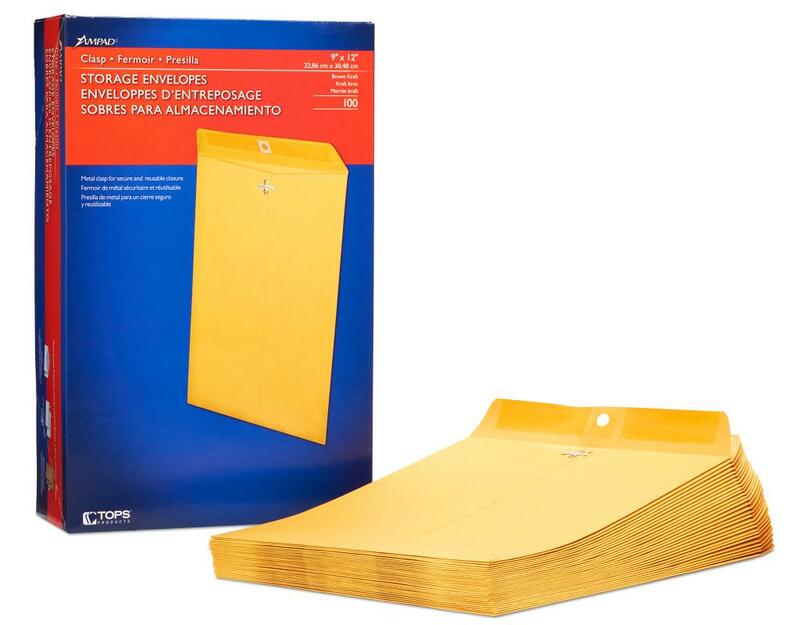 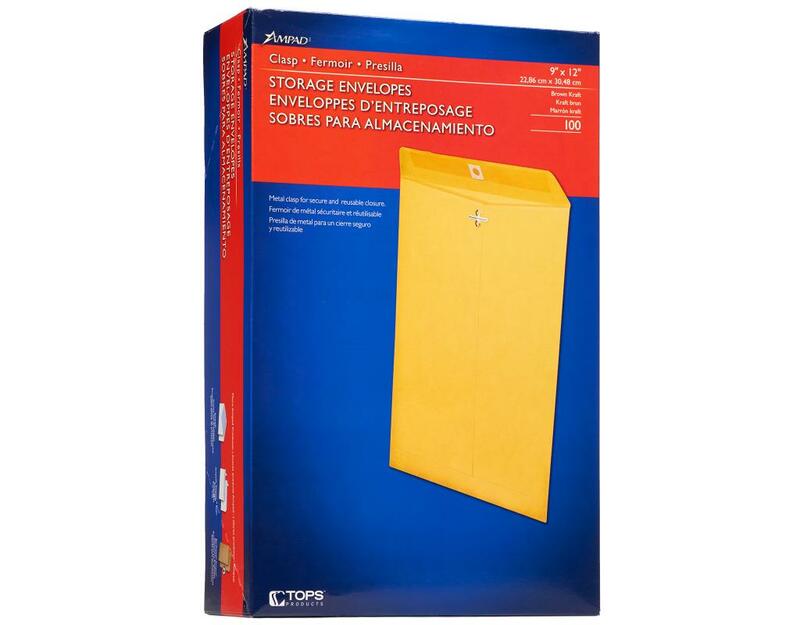 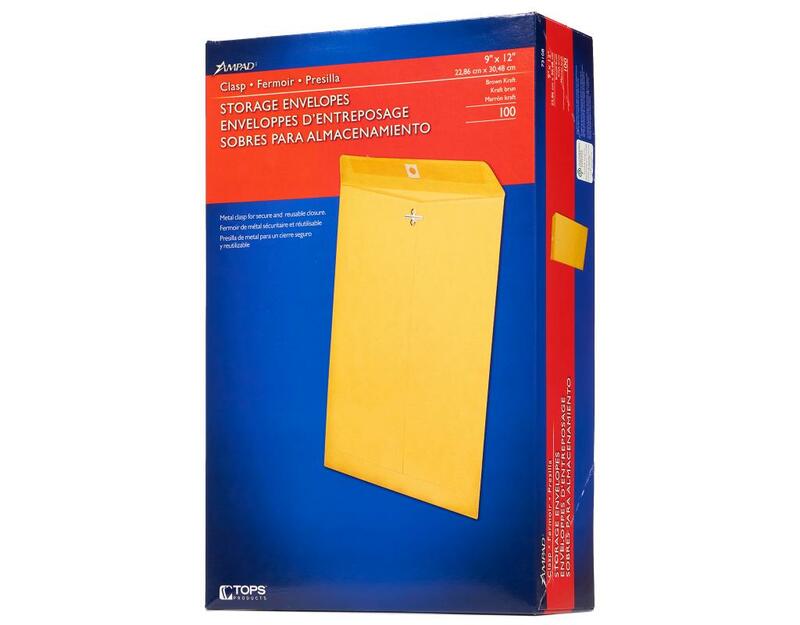 These Ampad Storage Envelopes are great for school, home or the office. 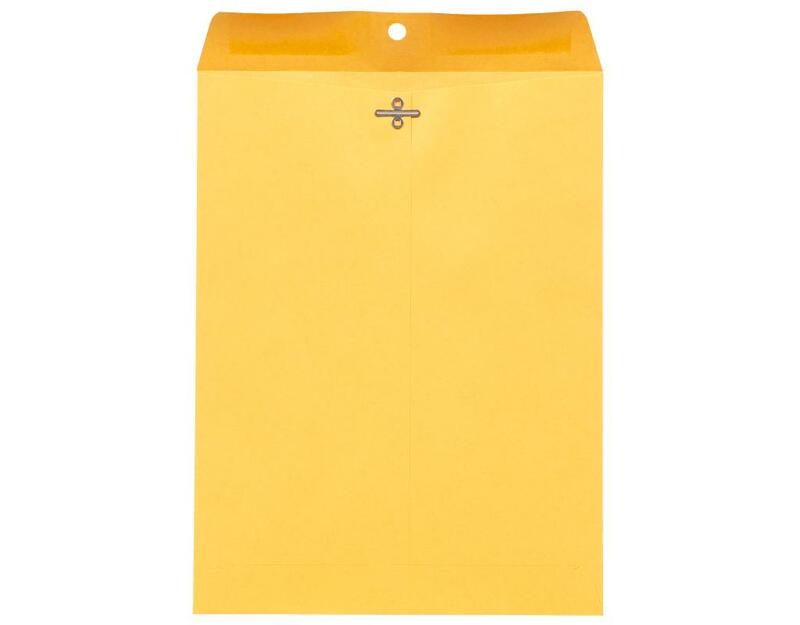 The 9" x 12" envelopes are made of a durable heavyweight Kraft paper and feature a sturdy metal clasp with gummed flap. Also, according to the movies, if you're going to blackmail somebody, you put the ignominious photos in these envelopes. • Moisten gummed flap for a permanent seal.